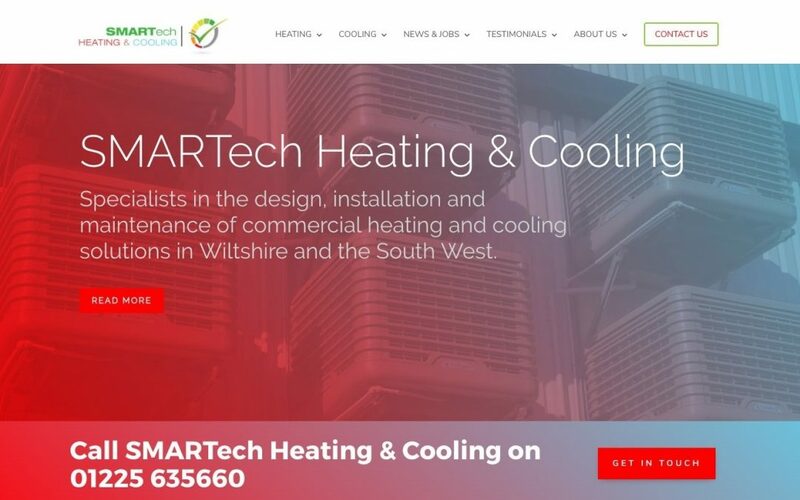 Corsham-based energy management and reduction specialist, SMARTech energy have today announced the launch of their heating and cooling website www.SMARTech-heatingandcooling.co.uk. Following careful planning and development over the past six months, the arrival of the new website has enabled SMARTech energy to completely overhaul how it manages its heating and cooling service offerings. With heating, ventilation and cooling playing a crucial role in the working environment for most buildings – and especially within industrial sectors, the website features information on both products and specialist services such as bespoke design, installation and repairs. Fuelled by mounting pressure on organisations to cut carbon emissions and to reduce costs, MD, Stuart Pearce says “SMARTech energy have seen an increased demand for energy efficient technologies and the launch of our specialist heating and cooling website enables businesses and organisations to make well-informed decisions that move towards the use of smarter, efficient and sustainable heating and cooling solutions”. As an accredited supplier for some of the industry’s leading manufacturers, innovative technologies such as Eco-Cooling’s Evaporative Cooling system which runs at 10% of the average running cost of air conditioning and the Blades low carbon boiler system which, at 97% efficient is leading the way for gas fired heating and hot water systems, are just some of the solutions on offer from SMARTech Heating and Cooling. Visitors are encouraged to explore the new website and to sign up for SMARTech heating and cooling mailing list to receive direct emails.